This is a continuation of this post here. 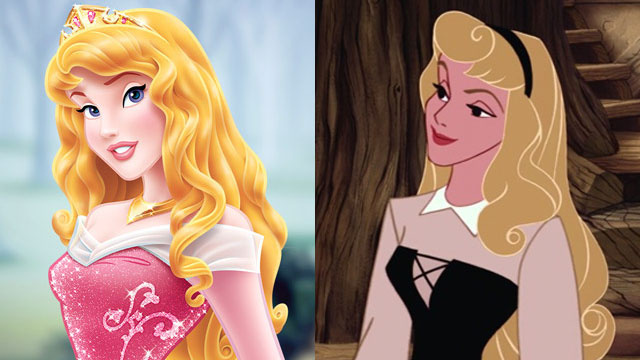 Above you can see the distortion of Mulan through Disney’s revamp of its princesses. While I already dislike the marketing of Mulan in anything but soldier gear, I don’t want to hate on femininity too much, because femininity is awesome. And being feminine doesn’t mean you’re not a badass or tough or strong. 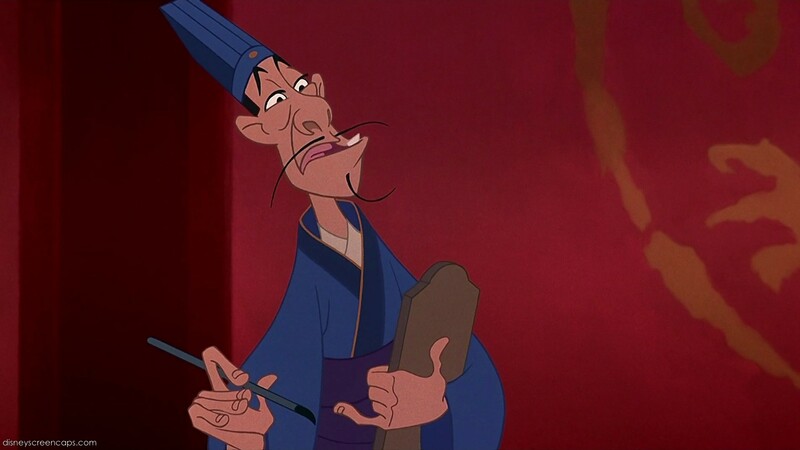 But what I DO dislike about the marketing of Mulan is that Disney seems to forget that Mulan was a soldier and pretended to be a man for over half the film. She hated dressing up and being a puppet. 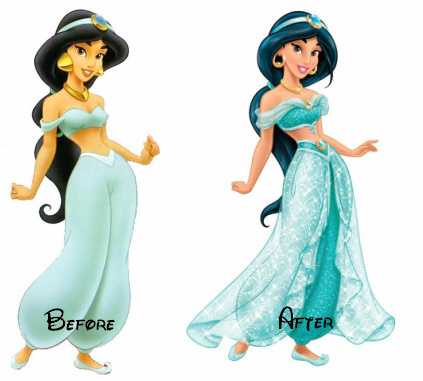 Disney whitened Mulan’s skin and redesigned her dress to be sparkly. 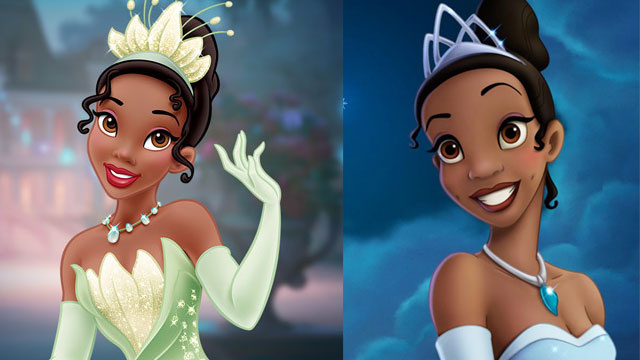 Perhaps the most disgusting retouching they did of this princess is her eyes and hair. I don’t think the Mulan we know would be caught dead in something like this. So why does Disney market her like this? Because they socialize little girls to believe that being sparkly and unrealistically beautiful is what a princess should be. Cinderella is also dramatically reimagined for this newer marketing campaign. Take, for example, the difference in size of her ribcage, the enlargement of her eyes and mouth, and they narrowed her shoulders. 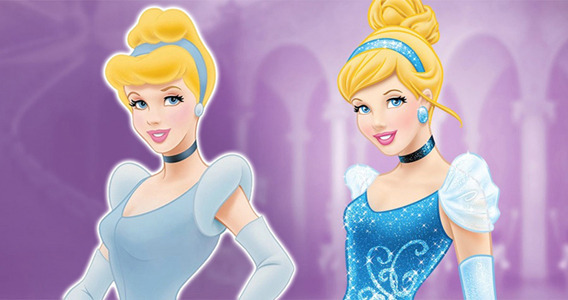 Cinderella has been all around shrunk to fit the current version of the beauty myth. With Cinderella already being a problematic story, there’s no reason to confuse girls even more about their place or what they’re supposed to be. All in all, please do not be distracted by the sparkles and red carpet glam Disney painted these women with. Think about the images you’re surround by and how they are edited to fit a certain corporation’s agenda. Starting this off with: THERE ARE A TOTAL OF 0 POC IN THIS WHOLE FILM. 0. 0 POC. Cinderella is a problematic princess from the moment the movie begins. Right off the bat, when her father remarries and she is tormented by her step-mother, step-sisters, and even the cat, we see Cinderella become the embodiment of the cult of woman. She is, essentially, the perfect woman. She does chores without complaining, does the cooking without complaining, all the while being sweet, nice, kind, thoughtful, and pleasant to be around. She is thin, blonde, blue eyed, and loving. Give me a break. The ruler of the kingdom decides his son must marry so that he can meet his grandchildren before he dies. He orchestrates a dramatic and over-compensating ball where the single women of the land must be on their best behavior, look the most attractive, and all around compete for one man’s attention. His name is literally Prince Charming. There’s nothing quite like promoting girl-on-girl competition, Disney, for girls to feel the need to replicate as they get older. And remember the ball was thrown specifically to find a wife for the prince to procreate with. 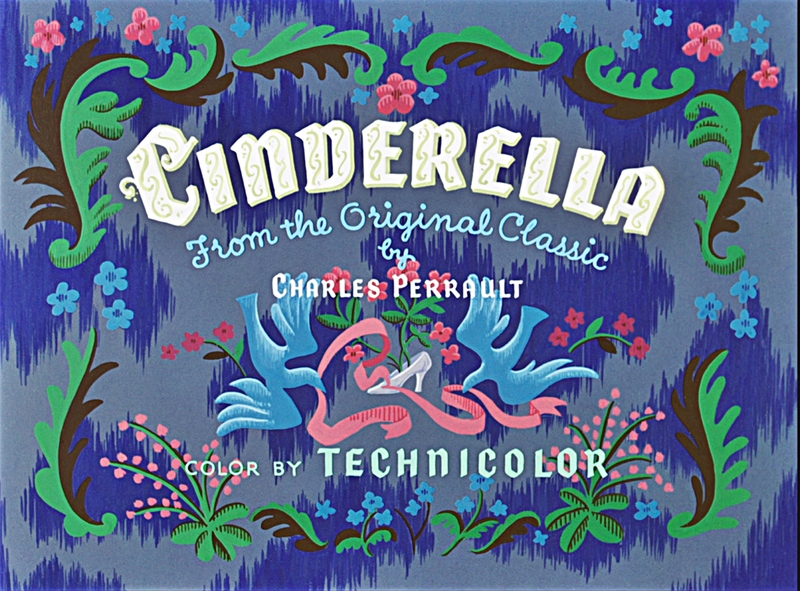 In Cinderella, it seems, women are nothing more than breeding stock that must preen and parade themselves around men, vying for their attention. The step sisters are animated quite different from Cinderella. With Cinderella as the embodiment of the cult of womanhood, it naturally spurns the audience from the sisters. They are loped in with the antagonist, Lady Tremaine, and are unladylike, unfeminine, and larger bodied. Another issue I take with this film is that Prince Charming fell in love with Cinderella on sight. This encourages the already damaging social norm that women are only worth what they look like. Would Prince Charming have found her attractive in her maid garb? I’d like to hope so, but with the little attention he was giving the other women at the ball, would he have even given a servant-looking woman a thought? He was very kind to her at the end with the shoe search, but that was after he was already “in love” with her.